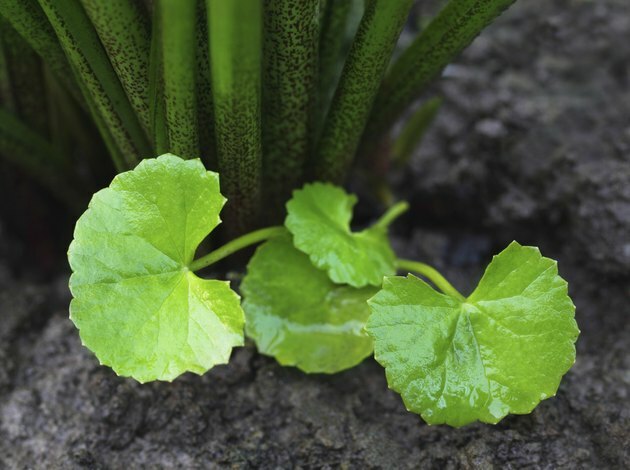 How Does the Brahmi Herb Work in the Brain? Brahmi contains the saponins called bacosides, which appear to affect certain neurotransmitters in the brain. Brahmi seems to increase the effects of serotonin, gamma aminobutyric acid or “GABA” and acetylcholine, says the University of Michigan Health System. Brahmi’s effects on these neurotransmitters, along with its antioxidant and neuroprotective actions in the brain, likely account for the herb’s medicinal benefits. They include enhancing mental function and easing anxiety and depression. Brahmi might also have relaxant effects on certain muscles. You might take brahmi to help to treat allergies, asthma, ulcers and hypothyroidism, but the herb is best known for its uses in treating mental conditions, says the University of Pittsburgh Medical Center. Brahmi may help to improve mental function and memory in people with forms of dementia such as Alzheimer’s disease and age-related cognitive decline or ARCD. Brahmi could also help if you have depression, anxiety, drug addiction or epilepsy. No conclusive scientific evidence supports the use of brahmi for treating any medical condition, however. You might take a daily dosage of 300 to 450 mg of brahmi alcohol extract standardized to provide 55 percent concentration bacosides, says the University of Michigan Health System. Alternatively, you might take 6 to 9 grams of dried whole brahmi, notes the University of Pittsburgh Medical Center. Ask your physician before taking brahmi to find out the safe and effective dosage that’s right for you. Brahmi extracts improved different factors of mental function, including learning, in animal studies, reported in the Journal of Ethnopharmacology in 1982, Phytotherapy Research in 1988 and the Indian Journal of Pharmacology in 1997, says the University of Michigan Health System. Brahmi also relaxed blood-vessel, respiratory-system and intestinal muscles during animal studies published in Phytomedicine and Phytotherapy Research in 1997, as well as the Journal of Ethnopharmacology in 1999 and 2003. Studies of brahmi’s effects in humans have offered mixed results, however. For example, two double-blind clinical trials found some memory-enhancing and mental-function benefits, according to reports in Psychopharmacology in 2001 and Neuropsychopharmacology in 2002. But another double-blind trial published in Human Psychopharmacology in 2001 found no benefits in memory or mental function, notes the University of Pittsburgh Medical Center. No safety studies have been performed on brahmi’s use in humans. However, participants in a 2001 double-blind study published in Psychopharmacology experienced side effects including nausea, weakness and dry mouth while taking brahmi, notes the University of Michigan Health System. Brahmi could potentially cause elevated thyroid-hormone levels and decreased sperm counts. Therefore, you should avoid taking brahmi if you have a thyroid condition or are taking thyroid replacement therapies and other medications that affect thyroid function, Drug Digest warns. What Is the Use of Menthol?